Influenced by a study of French art deco gates this chair is constructed in cherry. 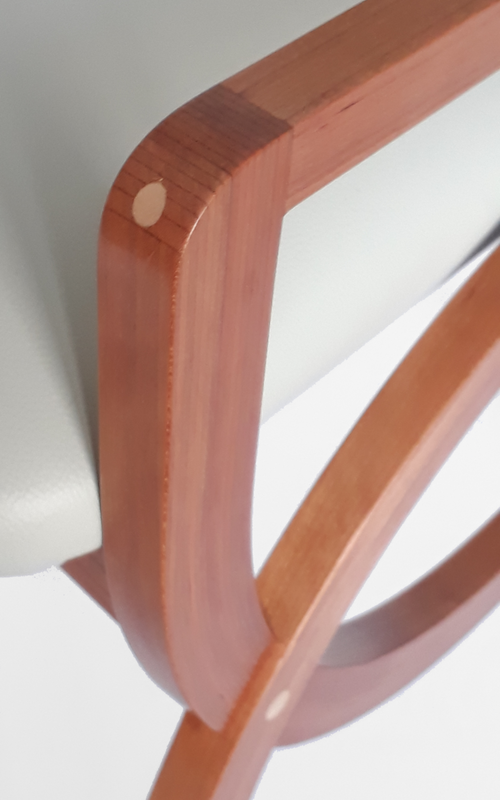 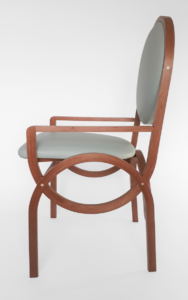 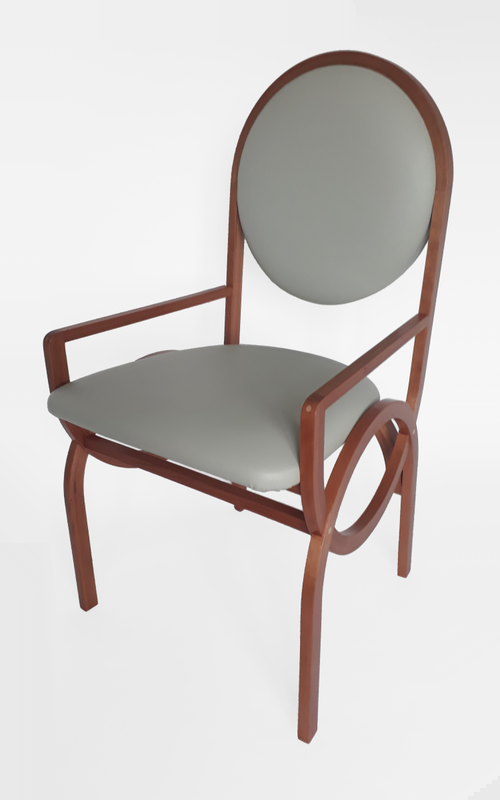 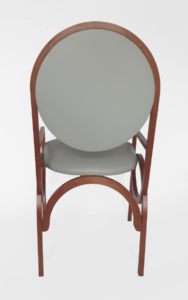 Its striking form is constructed from laminates to create a series of curved components, connected using traditional cabinet makers joints, with contrasting details in sycamore. 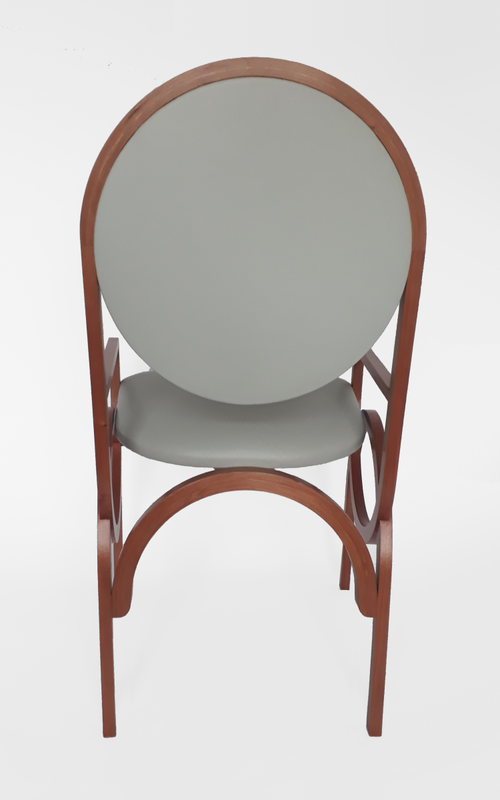 The back and seat are upholstered with fabric from the Designers Guild collection.